The front room in the Camp Rucker ranch house in Arizona. 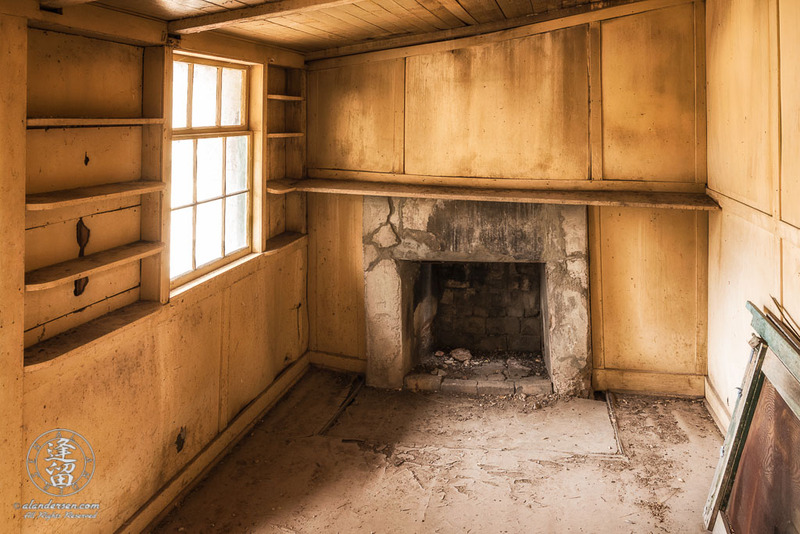 The narrowness of the room, coupled with the fireplace and built-in book shelves, indicate it may have been the office of the post Commandant. The room provides the troops with easy access to their Commandant but is situated so as to ensure the sanctity of the private areas within the home are not easily violated.